Our instructors Kit, Laura, Adam and Lissy are highly experienced, attentive instructors, limiting courses to a maximum of 4 students so you are well catered to both in and out of the water. We provide the following courses and experiences, with specialty courses available upon request. A gentle introduction to the underwater realm, with one-on-one supervision, for those who aren’t quite ready to commit to a full-blown Open Water course. 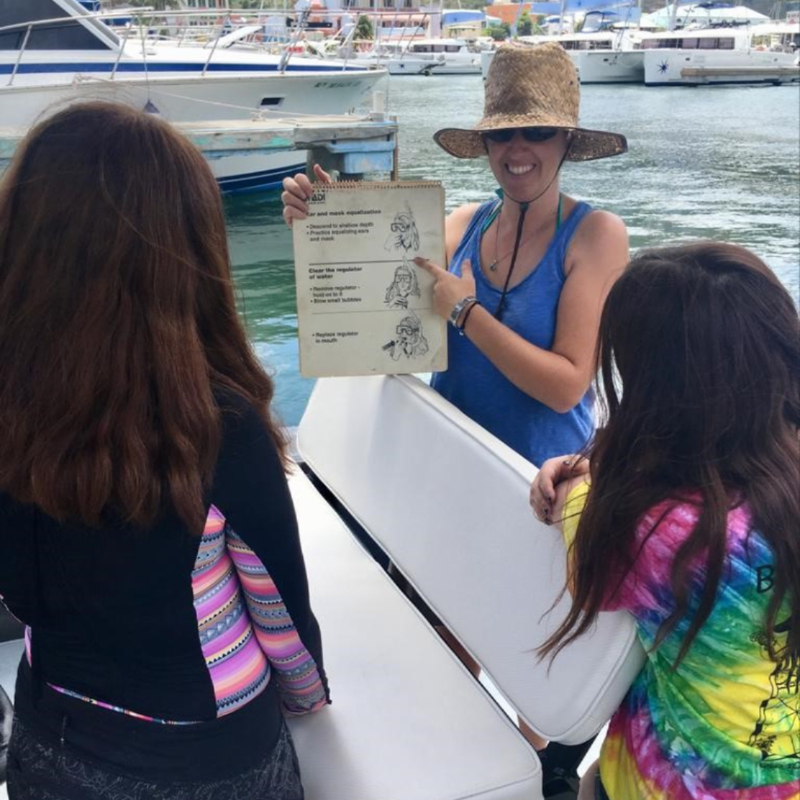 A half day experience, consisting of some basic training and a shallow try dive, for which you are always closely monitored by one of our instructors. Become a certified diver with PADI’s Open Water course, certifying you to dive to 60ft. This fun 3-day entry level course includes confined water practice and 4 training dives in open water. No prior diving experience is necessary in order to undertake this internationally recognized course. 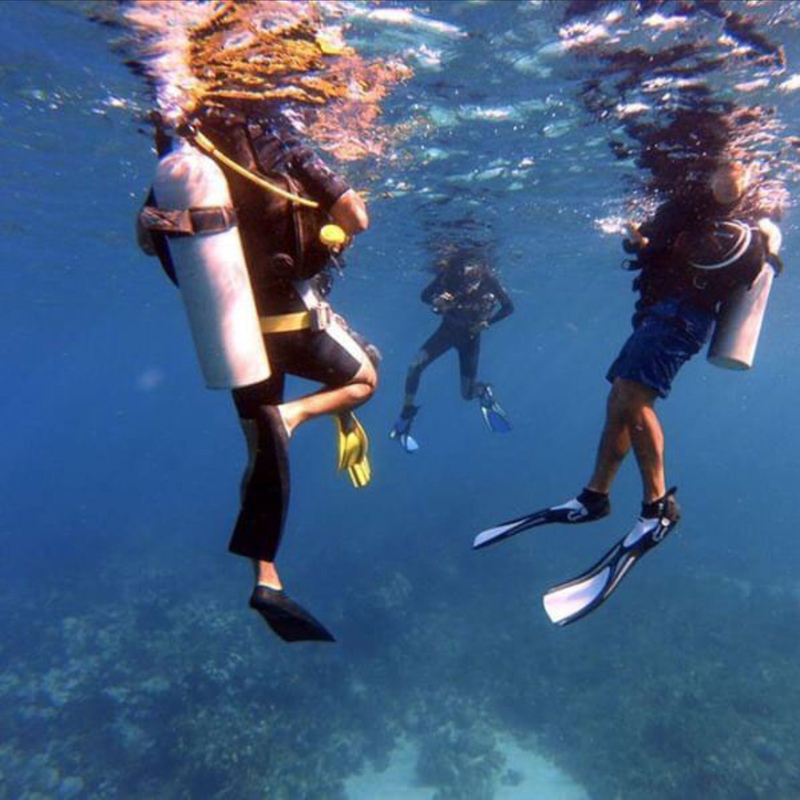 This 2-3 day course consists of 5 ‘Adventure Dives’ which certifies you to dive safely to 100ft! This course is a great option for those of you looking to broaden experience and expand your portfolio of dive sites, as it unlocks another world of deeper diving experiences. For those who wish to expand their SCUBA skills and learn how to perform in-water rescues during this fun packed 4-day course. A perquisite to this course to have a current Emergency First Response certificate. This is something our instructors are qualified to provide. However, you may wish to complete this at home before your vacation. Between our 4 instructors here at We Be Divin’ we are able to offer a broad range of specialty courses. Send us a message for more details. Fancy going pro? Get in touch and we can arrange for you to undertake your Divemaster internship with us here at We Be Divin’.